When it comes to things that sound comfortable to wear, there are no items of clothing made of LEGO bricks that happen to be on that list. 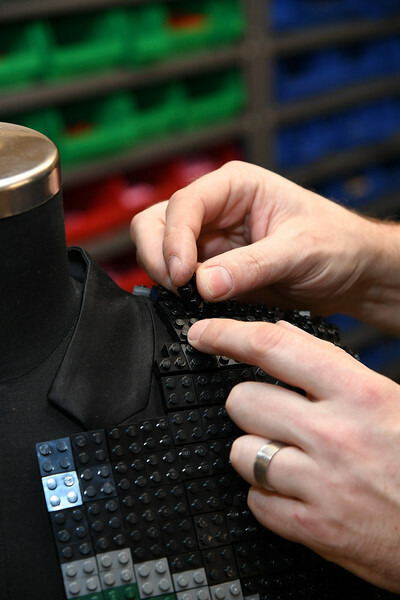 In fact, LEGO clothing that might just rank pretty high up there on the list of least comfortable things to wear next to clothing made of thumb tacks and sandpaper. 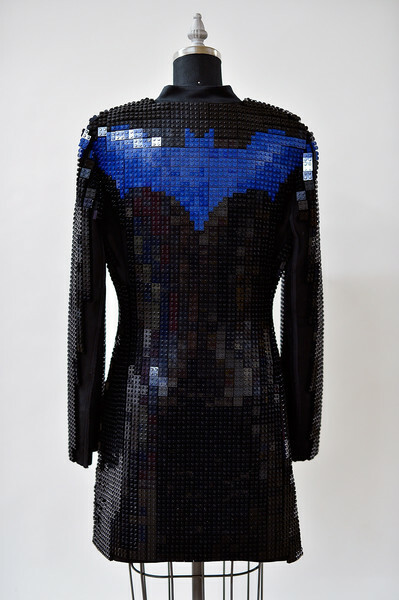 Well, LEGO clothing might not be the most comfortable thing to wear, but this LEGO Batman jacket made from 10,000 LEGO bricks is still pretty badass! 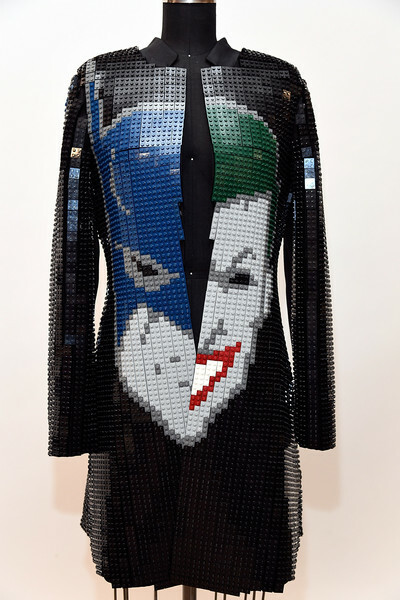 This fashionable LEGO Batman jacket masterpiece was created by LEGO brick artist Nathan Sawaya. 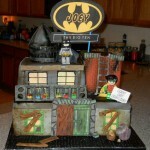 It took him about 100 hours to make this amazing LEGO Batman jacket which features Batman, the Joker and the Batsignal on the back. 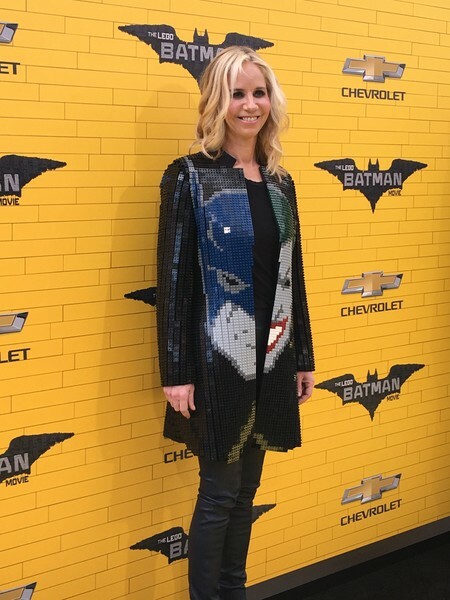 The jacket was made for DC Entertainment President Diane Nelson for the LEGO Batman movie premier. 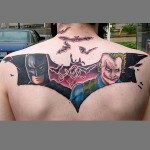 I’d say he did a heck of a job because it turned out looking fabulous! Even if it does sound about as comfortable as wearing a jacket made of Skittles. If Nathan’s name sounds familiar, its because he is perhaps the most well known LEGO brick artist there is and he has had his works of LEGO art featured here on Global Geek News on a number of occasions. 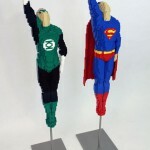 Some of his brick art that we have posted in the past includes things like a life size Conan O’Brien superhero LEGO build, a Jedi Statue of Liberty and a Green Lantern and Superman LEGO sculpture. He really is the god of LEGO bricks! If you have made any geeky LEGO builds, especially if they happen to be items of clothing like this stunning LEGO Batman jacket, let me know in the comments below! I’d love to see pictures! 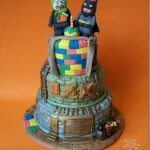 Share this with any LEGO fans and Batman lovers you know! 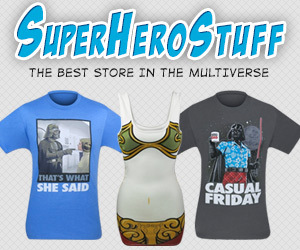 Go like us on Facebook and follow us on Twitter too!